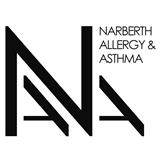 Narberth Allergy and Asthma (Havertown) - Book Appointment Online! IF YOU WANT ALLERGY TESTING DURING YOUR VISIT MAKE SURE NOT TO TAKE ANTIHISTAMINES (ZYRTEC, ALLEGRA, CLARITIN, BENADRYL ETC for $ DAYS PRIOR TO APPOINTMENT) At Narberth Allergy and Asthma you will get evidence based medical care without missing out on personalized and compassionate care. We provide 24/7 access to a physician over the phone in an emergency. By making the care so easily available we can avoid ER visits or severe exacerbations. We would like to be your partner and advocate in treatment and care of your allergic complaints and asthma. We will help you to reduce school and work absence and improve your quality of life. Just like the old days, before you were just a number, the Dr. spends a good bit of time with you, reviewing past/present changes; issues and solutions. She is up to date with a wide scope of information, pertinent to your scenario which she shares. You leave the office with the feeling that your health now and in the future is very important to her. Highly recommend her for adults as well as children! !